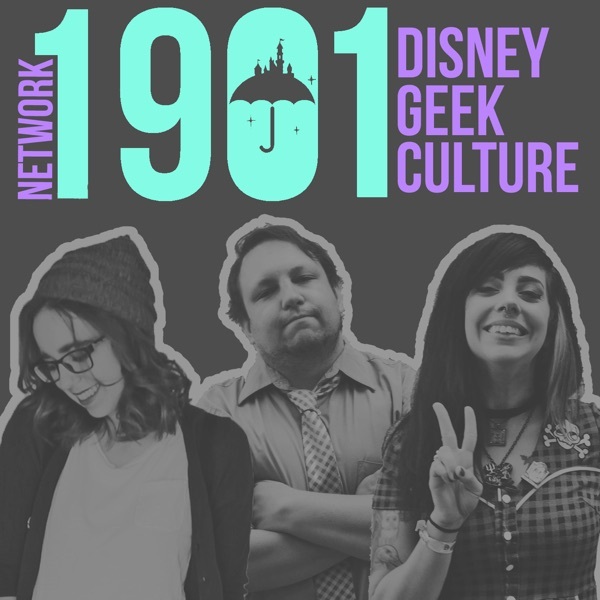 Network 1901 - Disney Geek Culture | Listen Free on Castbox. Subscribe to Lipstick and Lightsabers on its new feed!Art by Alex Leonis (@alexleonis)Edited by Shannon McCarter (@mccartershanon)Want to be part of Lipstick and Lightsabers? Record your Star Wars Story and send it to lipsticklightsabers1901@gmail.com! Give as little or as much as you like and try to answer these questions: How did you get into Star Wars?How do you engage with fandom?How has it impacted your life?What are you most looking forward to this year in Star Wars?------------------------------------------------------------------------------------------------KEEP UP WITH USNetwork: @network1901 or network1901@gmail.comJosh: @ModernMouseJoshAngie: @ModernMouseAngLipstick and Lightsabers: @Lip_LightsabersFACEBOOK GROUPhttps://www.facebook.com/groups/1999299296795601/EXCLUSIVE CONTENThttps://www.patreon.com/network1901Check out everything we do on Network1901.com! This week’s story was from Marie-Claire Gould and you can find her at @MarieCGould or @WtforceshowCheck out everything she does: What the Force and FangirlsHoloNet Radio Art by Alex Leonis (@alexleonis)Edited by Shannon McCarter (@mccartershanon) Want to be part of Lipstick and Lightsabers? Record your Star Wars Story and send it to lipsticklightsabers1901@gmail.com! Give as little or as much as you like and try to answer these questions: How did you get into Star Wars?How do you engage with fandom?How has it impacted your life?What are you most looking forward to this year in Star Wars?------------------------------------------------------------------------------------------------KEEP UP WITH USNetwork: @network1901 or network1901@gmail.comJosh: @ModernMouseJoshAngie: @ModernMouseAngShannon: @MccartershanonFACEBOOK GROUPhttps://www.facebook.com/groups/1999299296795601/EXCLUSIVE CONTENThttps://www.patreon.com/network1901Check out everything we do on Network1901.com! LINKS! !PhilharmagicDapper DayHollywood BowlRecommendations: Shannon: Tangled the series - Watch the first episodeAngie: The Story of UsJosh: Boysenberry Pie Froyo at Yogurtland------------------------------------------------------------------------------------------------KEEP UP WITH USNetwork: @network1901 or network1901@gmail.comJosh: @ModernMouseJoshAngie: @ModernMouseAngShannon: @MccartershanonFACEBOOK GROUPhttps://www.facebook.com/groups/1999299296795601/EXCLUSIVE CONTENThttps://www.patreon.com/network1901Check out everything we do on Network1901.com! This week’s story was from Natasha Fox and you can find her @ashesforfoxes or @metamashinaCheck out her podcast: Metamashina And read her blog!! : ashesforfoxes.comArt by Alex Leonis (@alexleonis)Edited by Shannon McCarter (@mccartershanon) Want to be part of Lipstick and Lightsabers? Record your Star Wars Story and send it to lipsticklightsabers1901@gmail.com! Give as little or as much as you like and try to answer these questions: How did you get into Star Wars?How do you engage with fandom?How has it impacted your life?What are you most looking forward to this year in Star Wars? ------------------------------------------------------------------------------------------------KEEP UP WITH USNetwork: @network1901 or network1901@gmail.comLipstick and Lightsabers: @Lip_LightsabersFACEBOOK GROUPhttps://www.facebook.com/groups/1999299296795601/EXCLUSIVE CONTENThttps://www.patreon.com/network1901Check out everything we do on Network1901.com! LINKS! !Disney Fox MergerNew Rules at DisneySWCC Schedule SWCC FAQDenver Pop Culture ConLucasFilm GamesRecommendations: Shannon: Queen's Shadow by E.K. Johnston (Padmé-ssanse)Angie: Greed - Money, Happiness, and Eternal LifeJosh: Surviving Y2K------------------------------------------------------------------------------------------------KEEP UP WITH USNetwork: @network1901 or network1901@gmail.comJosh: @ModernMouseJoshAngie: @ModernMouseAngShannon: @MccartershanonFACEBOOK GROUPhttps://www.facebook.com/groups/1999299296795601/EXCLUSIVE CONTENThttps://www.patreon.com/network1901Check out everything we do on Network1901.com! This week’s story was from our own Alex Leonis! Go check her out!Art by Alex Leonis (@alexleonis)Edited by Shannon McCarter (@mccartershanon)Want to be part of Lipstick and Lightsabers? Record your Star Wars Story and send it to lipsticklightsabers1901@gmail.com! Give as little or as much as you like and try to answer these questions:How did you get into Star Wars?How do you engage with fandom?How has it impacted your life?What are you most looking forward to this year in Star Wars?------------------------------------------------------------------------------------------------KEEP UP WITH USNetwork: @network1901 or network1901@gmail.comJosh: @ModernMouseJoshAngie: @ModernMouseAngFACEBOOK GROUPhttps://www.facebook.com/groups/1999299296795601/EXCLUSIVE CONTENThttps://www.patreon.com/network1901Check out everything we do on Network1901.com! This week’s story was from Allie Nasar and you can find her @In_Wild_Space or @missthisbandCheck out her music on SpotifyArt by Alex Leonis (@alexleonis)Edited by Shannon McCarter (@mccartershanon) Want to be part of Lipstick and Lightsabers? Record your Star Wars Story and send it to lipsticklightsabers1901@gmail.com! Give as little or as much as you like and try to answer these questions:How did you get into Star Wars?How do you engage with fandom?How has it impacted your life?What are you most looking forward to this year in Star Wars?------------------------------------------------------------------------------------------------KEEP UP WITH USNetwork: @network1901 or network1901@gmail.comJosh: @ModernMouseJoshAngie: @ModernMouseAngFACEBOOK GROUPhttps://www.facebook.com/groups/1999299296795601/EXCLUSIVE CONTENThttps://www.patreon.com/network1901Check out everything we do on Network1901.com! This week Angie, Josh, and Shannon talk about the new Aladdin and Endgame trailers and then discuss James Gunn returning to Disney. . .LINKS! !AladdinEndgameJames Gunn is backThe Further Adventures of Walt's Frozen HeadRecommendations:Josh: The Limitations of the Marvel UniverseAngie: subreddit humansbeingbrosShannon: Happy Death Day------------------------------------------------------------------------------------------------KEEP UP WITH USNetwork: @network1901 or network1901@gmail.comJosh: @ModernMouseJoshAngie: @ModernMouseAngShannon: @MccartershanonFACEBOOK GROUPhttps://www.facebook.com/groups/1999299296795601/EXCLUSIVE CONTENThttps://www.patreon.com/network1901Check out everything we do on Network1901.com! This week’s story was from Caitlin Plesher and you can find her @caitlinplesher or @skytalkerspodCheck out her podcast: SkytalkersArt by Alex Leonis (@alexleonis)Edited by Shannon McCarter (@mccartershanon) Want to be part of Lipstick and Lightsabers? Record your Star Wars Story and send it to lipsticklightsabers1901@gmail.com! Give as little or as much as you like and try to answer these questions: How did you get into Star Wars?How do you engage with fandom?How has it impacted your life?What are you most looking forward to this year in Star Wars?------------------------------------------------------------------------------------------------KEEP UP WITH USNetwork: @network1901 or network1901@gmail.comJosh: @ModernMouseJoshAngie: @ModernMouseAngFACEBOOK GROUPhttps://www.facebook.com/groups/1999299296795601/EXCLUSIVE CONTENThttps://www.patreon.com/network1901Check out everything we do on Network1901.com!